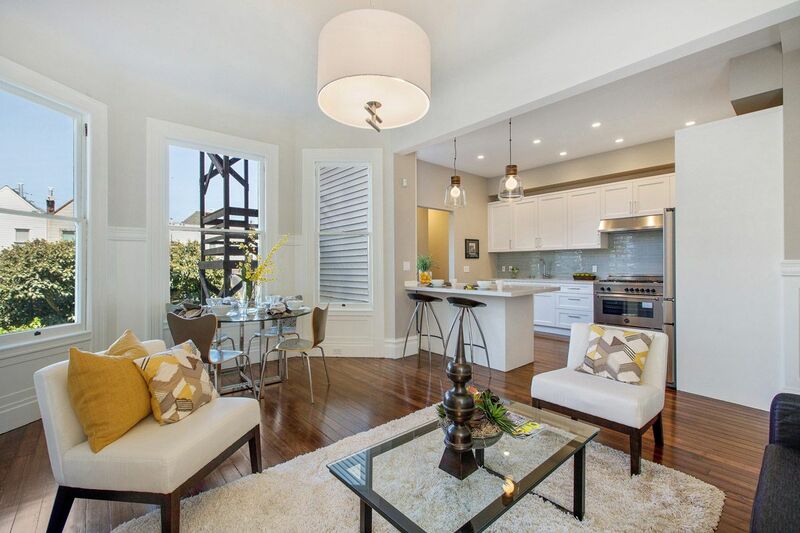 Fully remodeled flat in a fully upgraded Victorian. 1 car parking in the newly constructed garage. Quality finishes and appliances. Unbeatable location 1/2 block from Divisadero Street. Refinished softwood floors, caesarstone countertops,high ceilings, and gorgeous detailing throughout. Shared backyard. New electrical,plumbing,heating,& foundation.